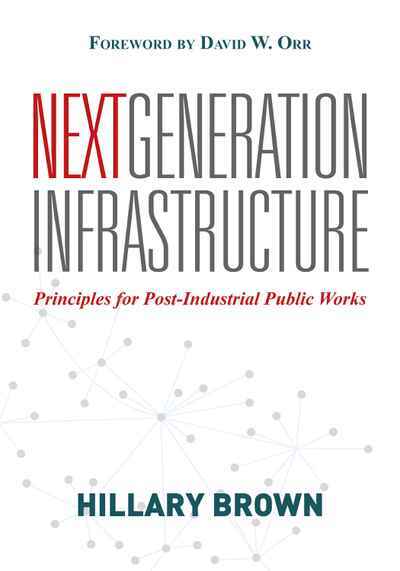 Next Generation Infrastructure takes a critical but ulimately hopeful look at how our infrastructure networks can be made more efficient, less environmentally damaging, and more resilient. Brown argues that, if we’re to chart a course for global sustainability, we must begin to design, regulate, and finance infrastructure that decouples carbon-intensive and ecologically harmful technologies from critical infrastructure systems, namely the essential systems for contemporary society: water, wastewater, power, solid waste, transportation, and communication. The book highlights hopeful examples from around the world, ranging from the Mount Poso cogeneration plant in California to urban rainwater harvesting in Seoul, South Korea, to the multi-purpose Marina Barrage project in Singapore.